Colleges plan to give credit for MOOCs, but how will that affect higher education as a whole? Seven colleges plan to offer massive open online courses (MOOCs) for credit as part of a study being conducted by the Bill & Melinda Gates Foundation and the American Council on Education. The study is examining demographics and teaching methods, and students who participate will earn college credits if they can demonstrate knowledge acquired from online courses. UMUC has agreed to grant credit for six courses that closely match its own introductory offerings. But to get the credit, students will have to prove that they know the material. That can be done one of two ways: by taking a paid version of the course for $150 or less, which includes proctored exams, or by going through a rigorous "prior learning assessment" process at UMUC, which measures competency in a topic. Marie Cini, provost and senior vice president for academic affairs at UMUC, made it clear that students’ knowledge will be verified. "I don't want anybody to think we're giving away credit," she told the Baltimore Sun. "I don't want anybody to think we're giving away credit." Have MOOCs Finally Made It? The kids of 2015 will not have seen any successful MOOCs graduates yet — certainly not successful in the career sense — but it will be a tempting option, and some of them will jump. The rich kids will still sign up for Harvard without a second thought. And so it goes. This is the very slow tsunami of the title — a gradual but inexorably rolling change in societal and professional attitudes, pinned at one end by the bedrock certainty that the elite institutions produce the elite people, and pulled at the other end by the growing awareness that free isn’t necessarily junk, and it’s, well, free. It will take 10 or 20 years, and be imperceptible while it happens, like boiling a frog. Harvard and Cambridge are safe, forever, for the same reason that some people still buy Rolls-Royce motor cars (no, I don’t know either, it’s a rich thing). For the mid-range institutions, there is probably a happy 10-year window in which they are safe and can continue in blissful ignorance. 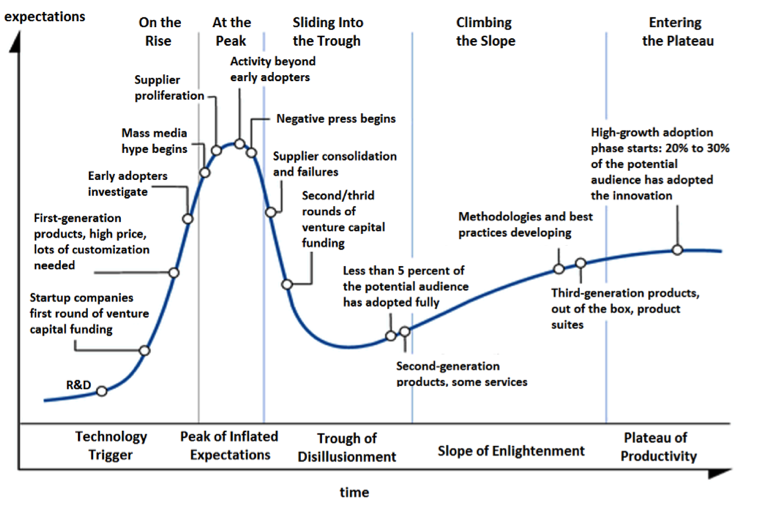 Check out Tapson’s article to see a graph of his predictions for the future of MOOCs. Credit for MOOCs is one step in a very long journey. How is your college handling the interest and growing demand for free or cheap online education? Let us know in the Comments section.